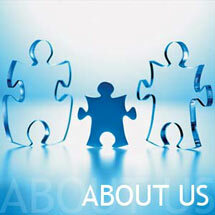 Pla components was established in the year 1967 . For more than 4 decades, Pla has served various industries with “ Pla Brand Relays & Reed Relays.” Today ‘ PLA’ name is very well known thanks to it’s buyers, sellers, users and consultants. It is matter of pride that millions of relays & reed relays are in use today & this has been possible due to our sincere effort to maintain quality standards from time to time to produce better product. Besides R&D Lab we have “In House Test Lab “Which is equipped with modern equipments required to test relays parameters e.g. Bump, Vibration, Humidity, Temperature, Bounce, Operate Release time etc. and of course “Life Test”. Of late, we have introduced “ Application Test Lab” comprising of various testing jigs to test the life of relays in actual application such as stabilizer, where relay life is very critical. Not only this , Pla relays& Reed relays are tested and approved by govt. & semi govt. testing agencies / organization viz; LCSO, ERTL, CACT/ BSNL , Defense, CDOT, IDEMI, etc. This is the reason why consultants do not hesitate to recommend Pla Relays for use in critical control applications. With the excellent production facilities, professional methods & strict adherence to quality standards, we have penetrated almost all sectors of Electronics Industries where relays are used. Pla Relays & Reed Relays cover very wide range from 0.5 AMP. To 40 AMP. Power relays used in various applications e.g. Stabilizers, Timers, Temperature controllers, UPS, Battery Chargers, Inverters, Control Panels, Scada, Telecommunication etc. Pla specializes in designing and manufacturing custom made relays. Bulk orders of such special relays are accepted to bring down the prices or to add special features. Our Production is backed up by very efficient & strong sales network throughout the country. Dealers with their stocking ability & prompt service have boosted up PLA name beyond horizon.